Something magical is happening in the meditation space. Twelve months ago we started the long journey towards becoming a sustainable company. Our business plan says we have two years to go but I often lay awake at night wondering if we’ll get there at all… other meditation apps outspend us a gazillion to 1. Every now and then we come across something #mindblowing which reminds us of why we do what we do. So we inhale deeply and take the next step. This chart shows how much time is spent on Insight Timer compared with many other meditation apps who you often read about in the media. Usually the journalists write about how many downloads these apps have, or how much funding they’ve raised, or how much money they’re making. Rarely do they write about how many of the downloads convert to meditators, or how much time people spend on them, or how often people return each week — ‘metrics’ that actually matter when nurturing a meditation practice. If we’re going to make it through the next part of journey, Insight Timer needs to grow. Our 5 million meditators needs to become 50 million. And even though just a small percentage of our community will subscribe to our paid features, they will be enough for Insight Timer and our 3000 teachers to live sustainably. And 48 million people will have access to a free daily meditation practice. So today I’m also asking for your help. 3. Or next time someone asks you about meditation apps, reply with this question; ‘Did you know that people spend almost 3x more time on Insight Timer than many other apps who have 10 times more downloads and a bazillion times more revenue?’. We can do this. One person at a time. But not without you. This story is published in Noteworthy, where 10,000+ readers come every day to learn about the people & ideas shaping the products we love. Home to 6 million meditators, 15,000 free guided meditations and 3,000 teachers. 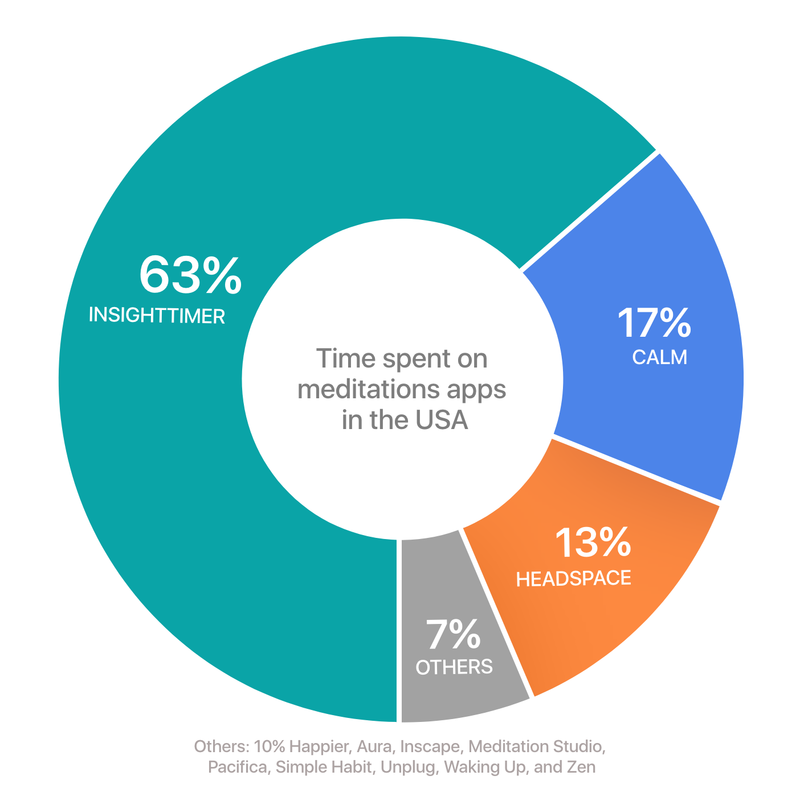 More time is spent on Insight Timer than any other meditation app. Free meditation for every person on earth.